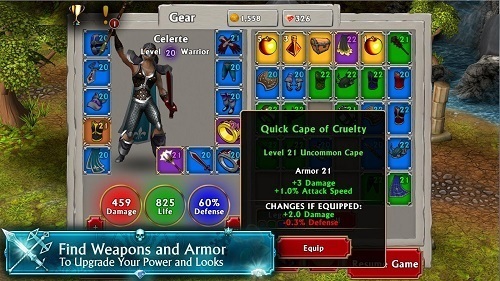 Eternium (previously Mage and Minions) offers a mobile loot focused adventure in the same vain as Diablo but does it from your mobile device. Available on both iOS and Android the game offers a great free to play action role playing experience in a dark fantasy world. As you fight off the hordes of demons and skeletons as either a mage or warrior players will gain levels, learn new skills and find items in traditional action RPG style. While combat is a fairly simple affair the controls help it shine and feel action packed by allow players to draw shapes on their device to trigger their more powerful spells. Eternium offers a very story driven game that takes you across a range of environments as you try to stop the evil Ragadam’s plans that will ensure an apocalyptic end to the world. The game is split into different levels rather than being an open world experience which does somewhat detract from the experience but is the trade-off you’ll pay for a game that is always responsive even on slower devices. As you progress through these connected levels you’ll face a good variety of enemies while also finding randomised loot to advance your characters power. If you find that randomisation isn’t on your side then you’ll be able to sell your useless finds instead or craft them together into new items. You won’t just be limited to developing your own hero during your Eternium adventure either with players able to recruit a range of companions to help defeat the never ending waves of enemies that you’ll face in the higher levels of the game. With a free to play price tag, three tiers of difficulties and so much content to explore Eternium is a must install on your device if you love the hunt for loot. 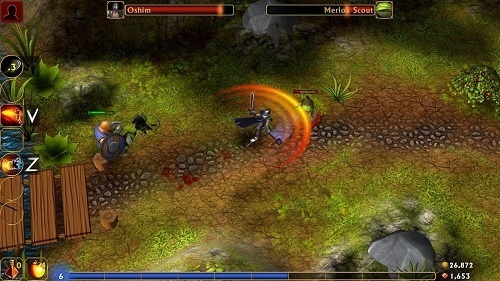 A mobile action RPG for iOS and Android. Hunt for loot or craft your useless items into power ones instead. Recruit companions that synergise with your playstyle. Save the world as a mage or warrior. Packed full of content (skills, enemies, items, areas).